Okay guys take a look at this shot for both Tracy's Shadow Shot Sunday and Robin's Summer Stock Sunday. This is the way I saw this photo the minute it showed in the LCD display on my camera right after I shot it. I decided to post it this way. What's wrong with it OR what's right with it? Whatever, it's a terrific, unique shadow shot, Mary! This one is way cool! Isn't it fun when we find one like this? Hope you're enjoying a great weekend! I think it's different and unique. I had to tilt and look to understand the angle, but it's a nice work of shadow art. Very cool - posting it that way was brilliant - really makes the shot pop. Thanks for participating in Summer Stock again this week Mary :). Sometimes the wrong is perfect! What's wrong? it's sideways. what's right? It catches the attention much more this way. What's right? It's a great shot! Nothing like a topsy turvy world to create a novel point of view! The shadows become the whole central focus! Great idea! What great shadow shot! I would never have even seen it! Why is this making me dizzy? Clever shot. 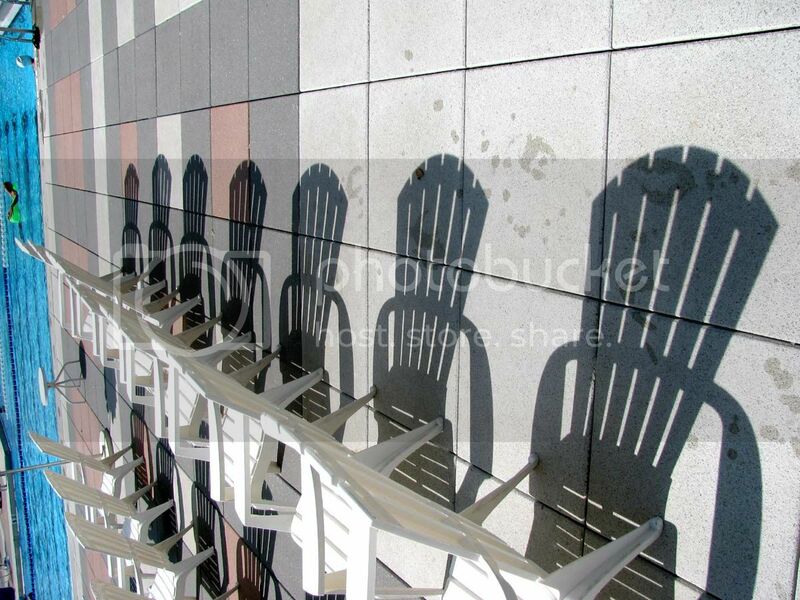 What a clever picture..I see you took it from a side..at first I thought the chairs were folded up..then I looked again..Darn, your good.. 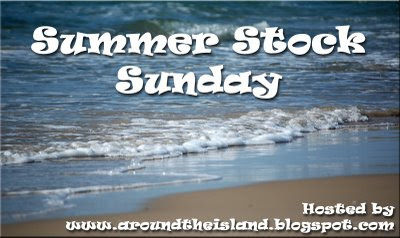 I have no idea what this summer stock meme is, but you picture is great ! nice...I like the pansies in your header, too! I LOVE it. It's creative and interesting. Mary, I just think it's an awesome shadow study. Now I'm gonna head to the pool today. That just settled it. I like how it brings into question the positive/negative so to speak. Nice.